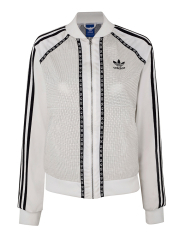 When Adidas Originals classics are reworked by Topshop’s crackerjack design team, the results are destined for greatness. 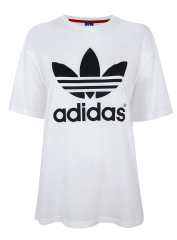 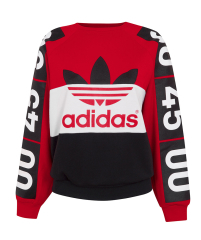 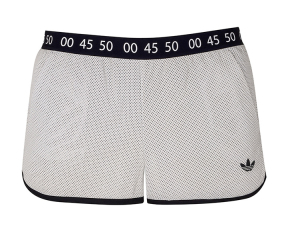 Behold a seven-piece collection in a bold palette of black, white, silver, and red that features clever interpretations of Adidas’ iconic trefoil logo and three stripes motif. 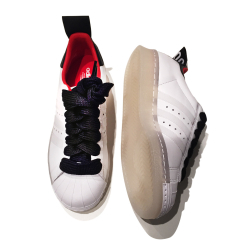 There’s even a riff on the Superstar shoe, with a metallic cracked leather toe and a transparent sole.